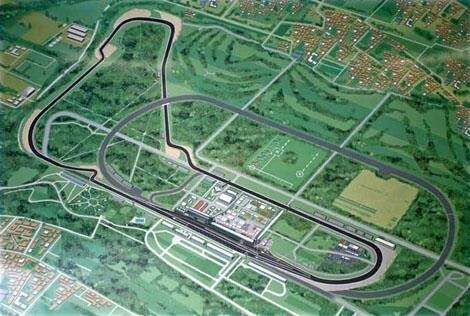 Built in the Royal Villa of Monza park in a woodland setting, the site has three tracks – the 5.793 kilometres (3.600 mi) Grand Prix track, the 2.405 kilometres (1.494 mi) Junior track and 4.250 kilometres (2.641 mi) high speed oval track with steep bankings which has been unused for many decades and is now decaying. The major features of the main grand prix track include the Curva Grande, the Curva di Lesmo, the Variante Ascari and the Curva Parabolica. The high speed curve, Curva Grande, is located after the Variante del Rettifilo chicane which is located at the end of the front straight or Rettifilo Tribune, and is usually taken flat out by Formula One Grand Prix cars. Yes and please include the oval variant as well, even though it is rejected in real life in virtual racing we do not have to adhere to these descisions. 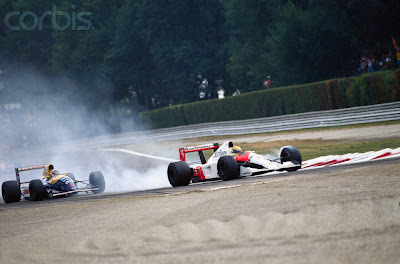 Monza would be a great track improvement in simraceway circuits lineup. In a v2 it would be interesting to have also the junior track too. Monza has to come to srw . Cant wait love this track .